The wait is almost over as R.A. 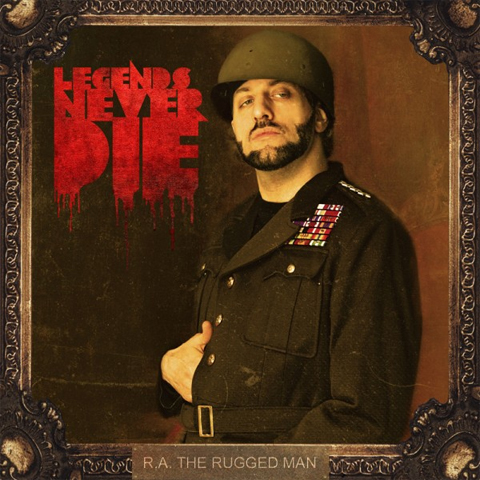 The Rugged Man releases the official artwork and tracklist for his upcoming album, Legends Never Die. At 17 tracks – one bonus joint makes it 18, the lengthy release sees the NY vet partner up with the likes of Talib Kweli, Brother Ali, Masta Ace, Hopsin, Vinnie Paz, and more. The highly-anticipated album also includes the long-awaited collaboration between R.A. The Rugged Man, Tech N9ne, and Krizz Kaliko on “Holla-Loo-Yuh”. With R.A.’s visit to Strange Music HQ not long ago, fans can expect to see the release of the “Holla-Loo-Yuh” music video soon as Legends Never Die makes its rounds in late April/early May. Legends Never Die hits stores April 30th. Will you be picking up Legends Never Die when it drops? Which collabs are the BIGGEST, in your opinion?